Another shooting and here comes the same conversation on both sides of the issue. Meanwhile people are dead and wounded. 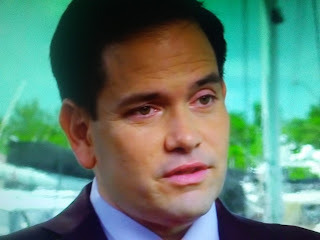 The Blaze reports Republican Senator Marco Rubio representing Florida tweeted a warning about the informing being released about the shooter in the harrowing school shooting Wednesday. As more information surfaced about the suspect apprehended in the heinous shooting, it became evident that school authorities were warned about some of his violent tendencies.